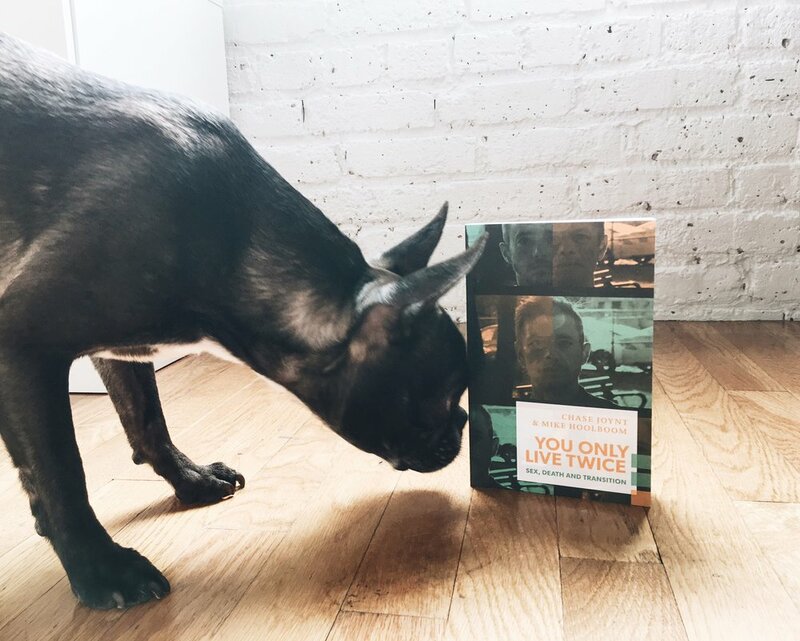 Weaving cultural theory with memoir and media analysis, You Only Live Twice asks intimate questions about what it might mean to find love and hope through conversation across generations. "Chase Joynt and Mike Hoolboom here give each other the gift so many people only dream of: ample, unhurried space to unspool crucial stories of one’s life, and an attentive, impassioned, invested, intelligent receiver on the other side. The gift to the reader is both the example of their exchange, and the nuanced, idiosyncratic, finely rendered examination it offers of biopolitical experiences which, in many ways, define our times. I’m so glad they have each other, and that we have this." "What a wondrous, shimmering, piquant concoction of tales and tails and herds and heads. By tails, I mean all the wagging bits of bodies that Joynt and Hoolboom so courageously put on the line. By herds, I mean all the communities with whom they so gracefully graze. By tales, I mean the way they trouble memories. Stories are never simply recounted, but instead, offered as queries and question marks and interrobangs for all of us to worry over like bones. Most of all, such heads! The writing is out of the park -- strong and surprising, a relay race of brilliant twirling, tossing thoughts back and forth like balletic rugby bros. Joynt and Hoolboom’s dances of disclosure are so courageous and generative, gifts to us all." "You Only Live Twice is an intelligent ode to enchantment, to the possibilities that arise in 'second lives' when all past expectations have been foreclosed." "An intellectually expansive, emotional gut-punch of a memoir." "An ode to friendship that is as beautiful as it is revelatory."